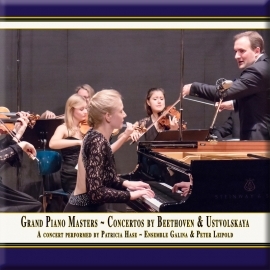 Publishing Authentic Classical Concerts entails capturing and recording outstanding performances and concerts for posterity. The performers, audience, opus and room enter into an intimate dialogue that in its form and expression, its atmosphere, is unique and unrepeatable. It is the aim, the philosophy of K&K, to enable the listener to acutely experience every facet of this symbiosis, the intensity of the performance, so they record the concerts in direct 2-Track Stereo digital HD. The results are unparalleled interpretations of musical and literary works, simply - audiophile snapshots of permanent value. 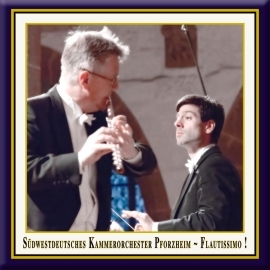 This concert took place in the church of the Maulbronn monastery in Germany. Built in the 12th century, the Maulbronn monastery with its Romanesque-Gothic basilica is considered as the most complete preserved medieval monastery north of the Alps. Awarded by Qobuz with the "Hi-Res Audio" March 2012. 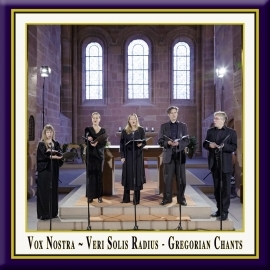 Since chanting-monk CDs are all the rage nowadays, K&K Verlagsanstalt decided to issue this disc of a special concert given at the Maulbronn Monastery in 2008. 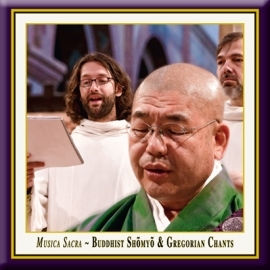 This concert, sponsored by UNESCO, combined the music of Tendai Buddhist monks from Japan with the Schola Gregoriana Pragensis choir, founded in 1987 in what is now the Czech Republic. The aim was to have the religious chants and hymns of both religions complement each other and create a multi-religious ambience redoubled in effect by the atmosphere of the surroundings. The experiment works very well indeed. Initially, the two choirs alternate their chants, the Westerners more formal in structure, the Easterners more fluid in theirs. It was interesting for me to hear Japanese monks as compared to Tibetans who are much more familiar here in the U.S. The Japanese monks all chant in a higher pitch, more in the tenor range, although some of their members are capable, as are Tibetans, of "chording" with the voice from time to time. As for Schola Gregoriana Pragensis, they are quite simply a beautiful-sounding group with great feeling in their singing. As the concert progresses, both choirs begin combining their religious chants to fascinating effect. Despite the musical and cultural differences, everything blends surprisingly well. 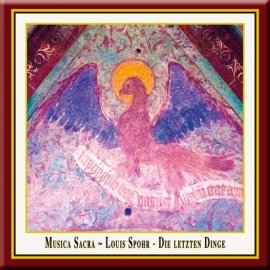 This is an excellent recording in every respect and in its own way more universal than many such "chant" CDs out there. In the spirit of the music presented, I feel a little odd recommending the disc, but as you can probably tell I was very moved by these performances. 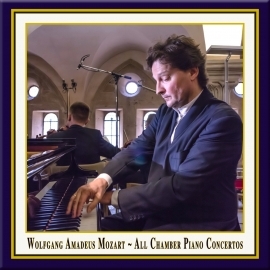 In this atmospheric recording from the beautiful medeaeval Maulbronn monastery Andrei Gavrilov plays a selection of delightful piano works by Fréderic Chopin. These include his consummate Klaviersonate Nr. 2 b-Moll op. 35, Étuden op. 10 and Balladen. 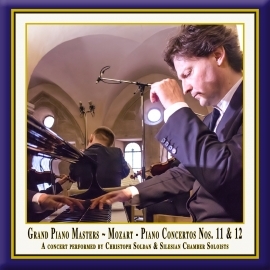 This is an atmospheric recording from the beautiful medeaeval Maulbronn monastery (an UNESCO World Heritage Site in Germany), where Gavrilov plays a selection of delightful piano works by Fréderic Chopin. I like this release very much, cause its expressive and authentic. I felt while listening that Garvrilov is playing directly in front of me. 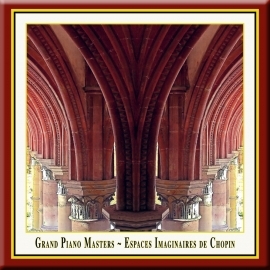 That showed me an exceeding dramatical facet of Chopin's works. & Fantasia in F-Sharp Minor, Wq 67 (H. 300) "C.P.E. 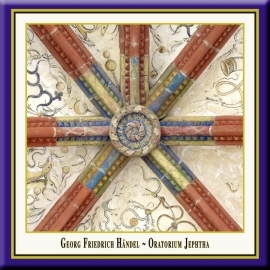 Bach's Impressions"
G.F.Handel's oratorio in three movements, Judas Maccabaeus, is performed in English in a historical setting by Sinéad Pratschke, Catherine King, Charles Humphries, Mark LeBrocq, Christopher Purves, Maulbronner Kammerchor and Musica Florea Prag. 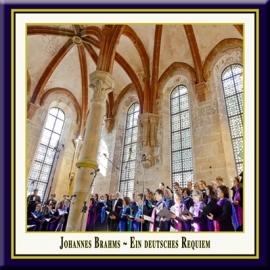 Juergen Budday conducts this concert recording from the convent church in Maulbronn. 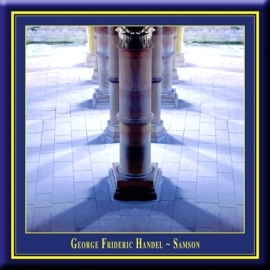 I actually received this recording by mistake, but this live performance of Handel's oratorio is absolutely excellent, a refreshing joy to listen to and to return to. For a long time my favorite Maccabaeus has been the Mackerras version on Archiv, with Janet Baker. 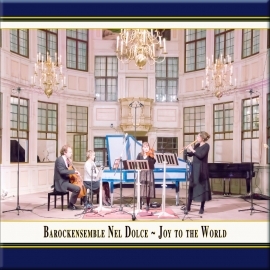 This recording, conducted by Jurgen Budday, is an Historically Informed Performance, which means they used original instruments and techniques (less string vibrato, smaller orchestra sections with more transparent sound, men using falsetto in place of women in some parts, for example). I will compare the merits of these two. This Budday HIP performance has gotten under my skin for several reasons: the conducting is exciting and very tasteful; the DDD sound is outstanding; the soloists are excellent, fresh, and stylistically intelligent; the HIP orchestra is tight and accompanies the singing deftly! I had never even heard of Jurgen Budday before. Mackerras is excellent too, so I am not abandoning that recording any time soon; that recording is ADD, on modern instruments, and not all the soloists sound as fresh or as idiomatic as they do on this Budday recording - which really opened my ears. To begin with Budday's tempi are buoyant - not simply fast, but well sprung. There is an energy which I think comes in part from it being a live performance. Budday's performance is about 20 minutes shorter than Mackerras' and is thus on 2 disks instead of 3. Mackerras is also a lively conductor and knows his way around Handel; in many ways his performance is a revelation, he is very sensitive in the solo accompaniment, and there is never any feeling of dragging. It must be said that both conductors have put themselves at the service of this music - individual personalities do not emerge to over-interpret Handel's musical and dramatic intentions. The music is allowed to speak for itself in both recordings, and the big moments ("See the Conqu'ring Hero", for example) are given their full due, making great impact (and an interesting contrast) in either scale. The digital sound on the Budday CDs is excellent, catching the details of the soloists, choir, and orchestra as if it were a studio recording, but with the added atmosphere of a live hall - it sounds absolutely great in my listening room (using Yamaha 200W amp, ADS 9 speakers, and Denon CD player equipment). The Mackerras recording has great studio sound which I would characterize as detailed and full, but less atmospheric since it's ADD and not live. It also sounds a little "closer", which is an artifact of being a studio recording. Budday's soloists are all excellent and have beautiful voices! They all sound young, fresh, and in particular they sound as if they all live with this kind of music. 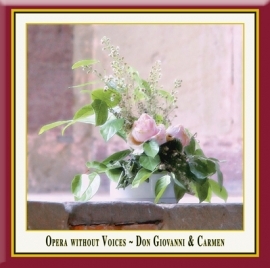 They sing gloriously - bright and strong in the ensembles, tender and quite moving in solos and duets. The choir (Maulbronner Chamber Choir) is less massive than modern performances tend to use - and thus more detailed and clear, and in some places men use falsetto in place of women in some alto solos, to haunting effect. Mackerras' soloists are all great singers, some of whom are opera stars and others whom are known for HIP careers. Janet Baker in particular is simply captivating, and her duets with Felicity Palmer are quite moving. The Wandsworth School Choir, boys, sounds larger and fuller, thus less detailed and clear by comparison. I know some people feel boys choirs sound too homogeneous, but I think it works well here. Budday's orchestra (Musica Florea Prag) uses original instruments and HIP techniques and they sound wonderful, you hear everything. The string sound is warm (early HIP performances could sound "dry" to modern ears). The playing is technically excellent, crisp, often breathtaking, and always very sensitive. Mackerras' orchestra, English Chamber Orchestra, is closer to a modern symphony orchestra. They sound full and warm, with a richness that many listeners have become accustomed to, but they are also crisp and totally inside this music. What to do, what to do? If you're looking for an accurate rendering of this music that is close to what Handel's audience heard, than this Budday recording is the one. If you're a Janet Baker fan (like I am), then Mackerras will be for you. If you prefer digital sound, then Budday is the way to go (although both sound great). If you like to hear the intricate details in the orchestra and chorus, well, then Budday is for you. For me, I'll tell ya, I am glad I have both now. I simply cannot make up my mind and I love them both! The English passion for the oratorio is largely due to Handel. Every year from 1738 to 1751, he produced at least one. Handel's oratorios, more dramatic than any previously written,were like operas without scenery and costumes. 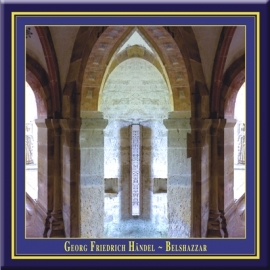 "Balshazzar" is one of a cycle of old testament oratorios by Handel. It is the story of the Babylonian king, Belshazzar, as presented in the biblical story from the book of Daniel. Belshazzar commits sacrilege against the God of the Israelites, upon which a ghostly hand inscribes the mysterious text,the Menetkel, upon the wall of the court,predicting the downfall of the kingdom and the death of Belshazzar at the hands of the Persians. The prophecy is fulfilled that very same night. Instrumentally and chorally this is a great recording! The characters of Daniel (Michael Chance) and Belshazzar (Mark LeBrocq) are well sung and dramatically convincing as is Nitrocris (Miriam). Gobrias is OK and somewhat convincing at times, but has some difficulty producing well-rounded low tones. But the weakest character both dramatically and vocally is Cyrus (Patrick van Goethem) countertenor. His voice was breathy in the low register and brittle and somewhat off pitch in the upper register. However, I'm really hard on countertenors, so you may not agree! One of the most exciting and well performed parts occurs when the hand of God writes on the wall terrifying Belshazzar; Daniel, the prophet then appears and prophesies in a most frightening manner death and destruction and nobody could have done that better than Chance. RECORDINGS FROM MAULBRONN ARE NEVER DULL! 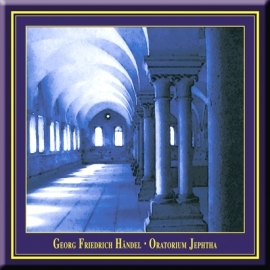 The oratorio Jephta was George Frideric Handel's last large work, written in 1751 in London and first performed at Covent Garden in the following year. This dramatic and poetic work in three movements reflects the inner aspect of Jephta's unsolvible solitude when he is expelled from Gilead by his half-brothers and grows up in exile. 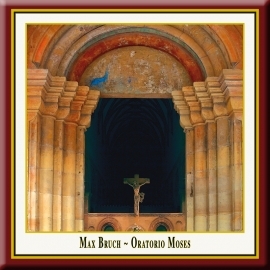 This splendidly atmospheric recording was made at the medeieval Monastery Maulbronn in Germany and fully captures the music's great force and beauty. The performers here include Emma Kirkby (soprano), Melinda Paulsen (mezzo-soprano), Charles Humphries (alto), Julian Podger (tenor), Stephen Varcoe (bass), together with the Barockorchester der Klosterkonzerte, Maulbronner Kammerchor, and conductor Jürgen Budday. I have been listening to Jephtha and Samson quite extensively, and I must say that these two recordings are truly impressive. First, the cast of soloists is an absolutely superb assembly of historically-informed performers. It would be hard to find singers any better than Emma Kirkby, Steven Varcoe, Michael Chance. I found all of the performances by the soloists nearly impeccable. Second, I suspected that the recordings themselves might be filled with ambient and background noises since these were the result of live performances. I have been extremely pleased with the technical aspects of the recordings: they are 'clean' and clear with very little extraneous sounds. The engineering of these recordings is highly commendable!! Finally, the orchestral playing by the Barockorchester der Klosterkonzerte and the participation of the Maulbronner Kammerchor are nearly flawless. The string playing is especially strong, and the choruses - filled with drama and emotion - are executed at the highest possible level. Even the pronunciation and intonation of the English is perfect. In sum, I could not be happier with these two superb recordings. 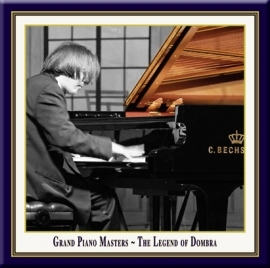 Already possessing several recorded versions of each of these masterful oratorios, I felt that it would be difficult to match the strength and quality of, for example, the performance under John Elliot Gardiner. These two new additions by K&K Verlagsanstalt to the recorded Handel repertoire are magnificent models, exemplary of how to bring these monumental works to life for the modern audience. 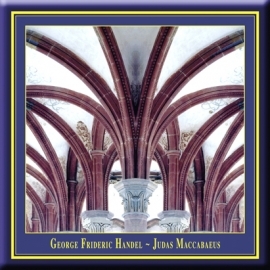 The crisp, clear recording, the excellent engineering, the incredible acoustics, the superb performances make these two of the best Handel compact discs I have purchased in a long time. I should be most happy if you would keep my name on your mailing list, since I would like to be informed when your fine enterprise releases any more Baroque repertoire. These are performances to be treasured and are of the highest caliber of historically-informed practice. Kirkby shines vocaly, this being a performance to emphasise the profound and the serious. The chorus sing strongly, with warm and rounded tone, and firm lines; several of the choral numbers are very impressive, for example the Part I chorus '0 God, behold our sore distress', which has considerable grandeur. The marvellous chorus that ends Part 2, one of Handel's noblest, 'How dark, 0 Lord, are thy decrees, all hid from human sight' (his blindness overcame him as he wrote it) is well sung. Some of the quicker choruses are done with real vigour and confidence, for example 'When his loud voice' and the jubilant final ones. The resonant church recording enriches the sound of the choir. The orchestra is hearty and the conductor, Jürgen Budday, draws some buoyant rhythms from them in the faster music. The strongest inducement to buy this set lies in the loveliness of Emma Kirkby's singing. This is no longer the exquisite, delicate thread of sound that it once was, but it is still exquisite and delicate while being much fuller and richer, and her characterisation of lphis, the daughter of Jephtha who 'must a victim fall' because of his 'impious vow' to sacrifice the first person he encounters after victory. Listen to her wonderfully shapely and natural singing of 'Tune the soft melodious lute', for example, or 'Farewell, ye limpid springs and floods', as she movingly welcomes death. Storgè is sung with strength and clarity by Melinda Paulsen (who also does the Angel air in Part 3). Jephtha himself is well taken by Julian Podger, a very capable singer. He is at his best in the heroic music, such as 'His mighty arm'. Zebul is warmly and sensitively sung by Stephen Varcoe, Charles Humphries provides an able Hamor, duetting gracefully with Emma Kirkby in two numbers. This recording is in many ways a real treasure. 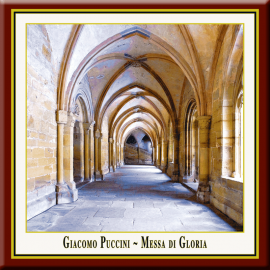 Its chief value is that it vividly captures a wonderful performance of Handel’s final oratorio, giving the listener a fine impression of the venue, the medieval Maulbronn monastery in southern Germany. The opening notes of the thrillingly dramatic overture grab the listener’s interest and the well-chosen soloists make a vivid impression. The story involves the military leader, Jephtha (tenor), who is asked by his brother, Zebul (baritone) to lead the Israelites against their oppressors, the Ammonites. Jephtha vows that, if successful, he will sacrifice the first person he sees after the battle. This turns out to be his daughter, Iphis (soprano). His wife, Storgè (mezzo-soprano) and Iphis’s fiancé Hamor (counter-tenor), are suitably horrified, as are the onlooking Israelites. An angel (soprano) transmutes Iphis's sentence to life as a virgin; hallelujahs are sung. Benjamin Hulett is outstanding as Jephtha who at first is exuberant when facing his military task, then anguished and horrified at the results of his vow. His accompagnato “Deeper, and deeper still” would be worthy of a musical dramatization of King Lear. The other main role is that of Iphis, sung by American soprano Kirsten Blaise; she also must express a wide range of emotions and carries it off extremely well. Simon Bailey is rich-voiced and stalwart as Zebul, and Annelie Sophie Müller as Storgè is blessed with a voice that has a rosy bloom about it. David Allsopp gets off to an uncertain start as Hamor but in the end rises to full worthy participation in his duet with Iphis, plus a quartet and quintet with the other principals. The 39-member choir and 26-member orchestra provide exactly the right sound for this great work. 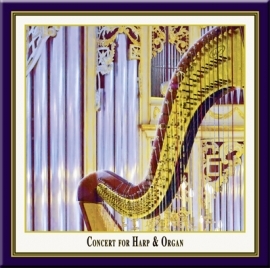 The orchestra use specially reconstructed period instruments tuned to the historically accurate a=415 Hz. Jürgen Budday’s tempi are well-judged throughout. Some might find the acoustic to be overly resonant, but I find it helps bring to life a performance I wish I had been able to attend. 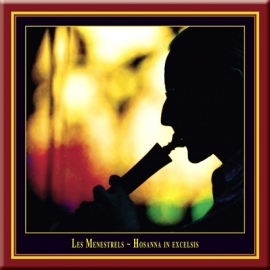 But there are almost three hours of superb-sounding music on just two CDs. Still the stated aim of K&K is to capture an outstanding performance in which “the performers, audience, opus and room enter into an intimate dialogue that is...unique and unrepeatable”. This they have accomplished. 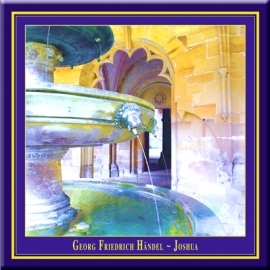 George Frideric Handel's Joshua was composed in a month during the summer of 1747. It was the fourth oratorio by the great composer based on a libretto by Thomas Morell, and premiered in 1748 at the Covent Garden Theatre, London. 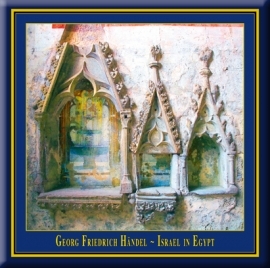 Based on the Biblical stories of Joshua, this is one of Handel's works from the height of his late creative period. Following the Jacobite Rising in England, he produced a series of oratorios based on military themes: Occasional Oratorio, Judas Maccabaeus, Alexander Balus, Joshua and Solomon. One of Handel's most famous choruses, 'See the Conq'ring Hero Comes' was originally written for Joshua, although the composer soon added it to the better-known Judas Maccabaeus, which had premiered the season before. The sources, story and style of the two works are similar, but Joshua has perhaps been more underrated and contains some wonderful music, especially in the second act with its splendid opening and closing choruses. 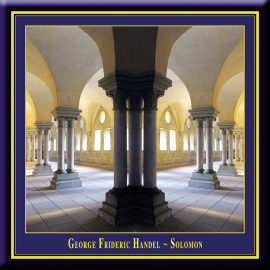 This exemplary recording, made in 2007, is part of a cycle of old testament oratorios by G. F. Handel and is performed at Maulbronn monastery. 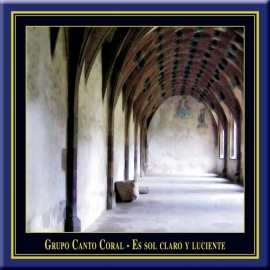 The series combines authentically performed baroque oratorios with the optimal acoustics and atmosphere of this unique monastic church. This ideal location demands the transparency of playing and the interpretive unveiling of the rhetoric intimations of the composition, aided by historically informed performance on reconstructed historical instruments tuned to the pitch customary in the composer's lifetime. Jürgen Budday, artistic director and founder, conducts the excellent Maulbronn Chamber Choir and Hanoverian Court Orchestra, with a fine array of soloists Miriam Allan (soprano), David Allsopp (countertenor), Mark LeBrocq (tenor) and James Rutherford (bass). 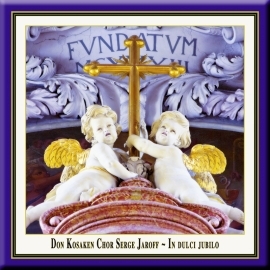 See also these K&K recordings: BELSHAZZAR, SAUL and DIVINE LITURGY. Hanoverian Court Orchestra, Maulbronn Chamber Choir. This live German recording of Messiah is based on a manuscript Handel marked up for a performance of the work in Dublin, adding a variety of new dynamic markings and ensemble indications. There's no reason to regard it as quite the definitive version of the work that it is proposed to be by the booklet here; it can equally well be considered an experiment on Handel's part in dealing with the new stylistic currents of his day. For listeners unfamiliar with it, this version carries quite a few surprises. Sampling merely the beginning of the "Hallelujah" chorus, CD 2, track 16, is enough to give the listener an idea of what he or she is getting into as the usually muscular entrance of the choir contracts to a quiet, angelic effect. The work becomes much more varied in texture and a good deal less monumental overall. It would nevertheless be a shame if this recording were pigeonholed among the Dublin versions, for it has a good deal to offer any Messiah listener. 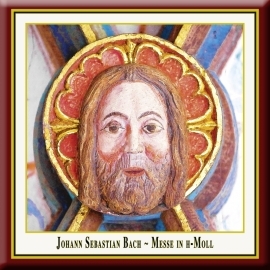 Billed as an uncut, historically informed performance, this recording becomes, in the hands of conductor Jürgen Budday, a nice fusion of the immediate feel of the best historical performances (aided by fine live engineering in the impressive, sonically clear spaces of Germany's Maulbronn Monastery) with a rich, more conventional sound from a good-sized German choir, the Maulbronner Kammerchor. Budday gives the soloists a chance to stretch out in the recitatives. Collectively the performers capture the different strands of Handel's experience - operatic, English Protestant, solo-oriented, and instrumental - that he brought to bear on this magnificent work, and they produce a rich Messiah of unusually strong impact. The live recording has a few flaws, but they are more than overcome by the edge thus generated. Notes are in German and English, the text is in English. I am nearly 60 years old and have heard countless versions of Handel's "Messiah" since I was a boy. Recently I decided to purchase the best recording I could find for MP3 use. 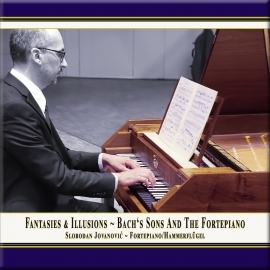 Wanting the version most faithful to Handel's baroque style, I easily eliminated most of the recordings I "auditioned" due to the overuse of orchestration, usually performed by unauthentic modern instruments. I also did not want to listen to any more wobbly warbling of soloists who seemed to be more intent on overpowering the listener than on communicating the divine message of the scripture text. Nor did I wish to hear any more sloppy choral performances that muddy the words because of the choir size and poor attack. I had heard other recordings done with "authentic" or "antique" instruments, some of which are fine, but usually one or two of the soloists have left me disappointed. This version has satisfied every one of my wishes. Where have they been hiding? It is totally delightful, and I have no complaint. I can only hope that more persons will become aware of this recording and add their two bits of comments. If you are one of those persons who enjoys heavy vibrato and heavy orchestration, you might not appreciate this fine Baroque recording. But if you are tired of the same old..... then by all means, give it a try. It is refreshing! An absolute gem of a Messiah. Definitely in the stream of the great "authentic" recordings of the work (like Christopher Hogwood's fantastic recording so many years before), this one makes the most of a small orchestra and chorus. 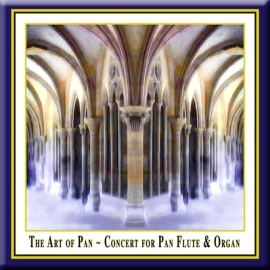 The performances are all wonderfully beautiful, from the orchestra and the crystal-clear soloists to the all-male choir. There is an elegant restraint shown in this recording that sets it apart, even amongst some of its contemporaries in the authentic-arrangement camp; This is particularly notable in "Hallelujah". Don't confuse elegance and restraint for dull and boring, however. It is anything but that. This version transports the listener. 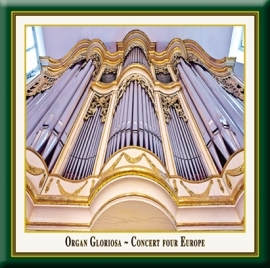 The sound quality is pristine and, recorded live in concert in a large church, captures the wonderful resonance that atmosphere uniquely provides. This is a lesser-known Messiah that stacks up well against other, more noted performances. Samson, an impressive oratorio in three movements Georg F. Handel, is performed in a historical setting by Sinéad Pratschke, Michael Chance, Marc LeBrocq, Raimund Nolte, David Thomas, Maulbronner Kammerchor and Barockorchester der Klosterkonzerte. 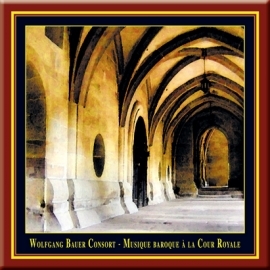 Juergen Budday conducts this double-CD box set concert recording made at the convent church in Maulbronn in 1999. ...The sound in this monastery is excellent. 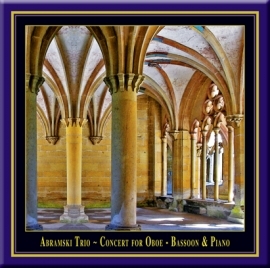 This is a beautiful recording of one of Handel's finest oratorios, and is highly recommended. Finally, the orchestral playing by the Barockorchester der Klosterkonzerte and the participation of the Maulbronner Kammerchor are nearly flawless. The string playing is especially strong, and the choruses - filled with drama and emotion - are executed at the highest possible level. Even the pronunciation and intonation of the English is perfect. In sum, I could not be happier with these two superb recordings. 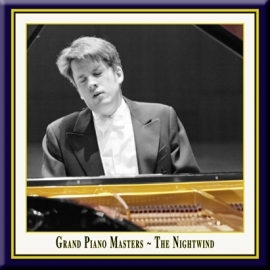 Already possessing several recorded versions of each of these masterful oratorios, I felt that it would be difficult to match the strength and quality of, for example, the performance under John Elliot Gardiner. LIVE PERFORMANCE FROM MAULBRONN BRINGS 'SAUL' TO LIFE! 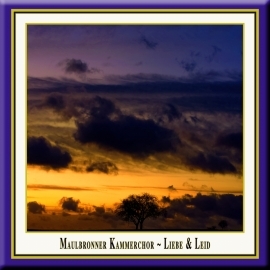 I have just finished listening to the oratorio 'SAUL' from Maulbronn conducted by Jurgen Budday. It leaves me breathless with it's high drama and excellent singing. The fact that this is a LIVE performance makes it all the more exciting to hear... This is a superb listening treat! 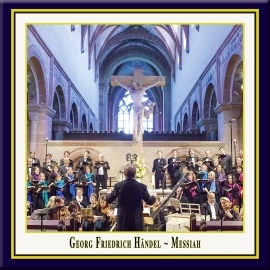 Georg Frideric Handel’s glorious oratorio in three movements, Saul, is splendidly performed here in English by Nancy Argenta, Laurie Reviol, Michael Chance, Mark LeBrocq, Michael Berner, Stephen Varcoe and Steffen Balbach, together with the Hannoversche Hofkapelle and Maulbronner Kammerchor, conducted by Juergen Budday. 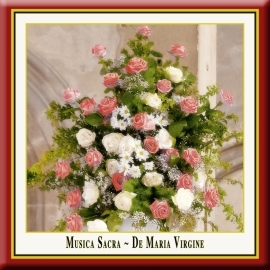 This atmospheric concert recording was made in 2002 in the historical setting of the beautiful convent church of Maulbronn. 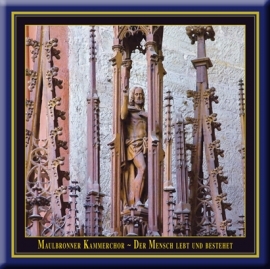 Other albums in the beautifully produced Maulbronn Edition from K & K include performances of Gounod’s Missa Solemnis (ISBN 3-930643-63-4) and an cappella concert, Goettliche Liturgie, with Don Kosaken singing works from the Russian Missa (ISBN 3-930643-72-3). For more informion, see the K&K website. 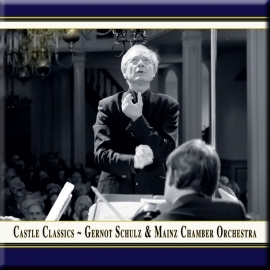 This CD is the first one that I heard from Maulbronn and I was stunned by the entire performance! It was exciting both vocally and instrumentally; I found it impossible to pause even for sustenance. Jurgen Budday has assembled a great lineup of soloists who projected their respective roles perfectly. For the most part the words of the chorus were understandable and created the proper dramatic tension. Michael Chance as Solomon displayed his usual skill in getting inside the role and the songs. The scene with the 2 harlots who were both claiming the same child was compellingly realistic. So many great songs by Handel on this disc I wouldn't want to have missed it! Since then I have purchased 4 more Oratorios from Maulbronn. I assure you that they are all first-rate! 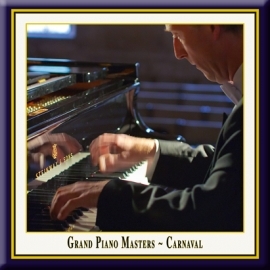 Carnaval for Piano, Op. 9 "Little Scenes on Four Notes"
Piano Sonata No. 3 in F Minor Opus 5. 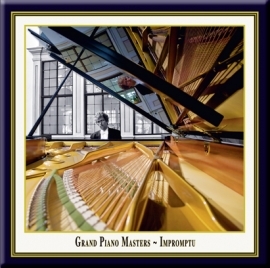 Instrument: Steinway & Sons Concert Grand Piano C-227. This is a qualitative recording without background noise. UNESCO World Heritage Site Maulbronn Monastery. 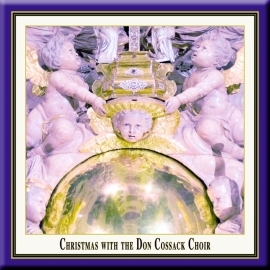 performs works from the Appendix to the "Dresden Gesangbuch"
Mozart's arrangement of Handel's Messiah, made in 1789, relates to his involvement in the circle of musical connoisseurs surrounding the Baron Gottfried van Swieten, Viennese nobleman and aficionado of the monuments of Baroque music. 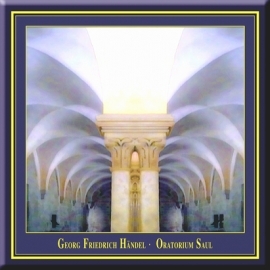 It is, as the booklet here aptly puts it, a "cover version" (the German participle, charmingly enough, is "gecovert") of Handel's work, neither a radical rethinking nor a light rescoring. Mozart adds a good deal of wind scoring, often arranging things so that the winds peek out with a wink toward the end of an aria. 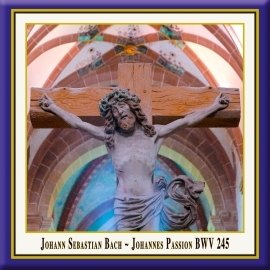 The treatments of the flute and bassoon are playful and very Mozartian, yet the music, with the exception of one number, "Wenn Gott ist für uns" (CD 2, No. 23), is Handel's. Even that number, in which the original aria is discarded in favor of a new recitative, has subtle echoes of the original intervallic structure in Mozart's new music, and in the big choruses Mozart plays it straight. The biggest change for the casual listener is the one from English to the German of van Swieten himself, working from an earlier translation by Friedrich Klopstock and Christoph Ebeling. If "Alle Tale" does not have quite the ringing quality of "Ev'ry valley," "Herr der Herrn, der Götter Gott" gets the message across. Conductor Jürgen Budday, leading the Hannoversche Hofkapelle, offers a spirited reading that reveals many of the score's smaller details. Although the soprano of Marlis Petersen is a bit outsized for a work that was originally performed with only 12 singers and has, for all the monumentality of Handel's Messiah, a certain intimate quality, this is a superior version of Mozart's unique effort, benefiting from the edge of live performance in a sonically spectacular venue. 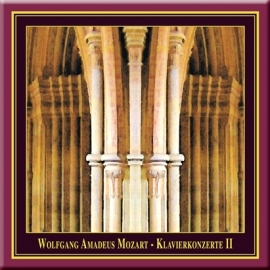 The booklet is helpful, quoting extensively from a detailed eighteenth century essay on Mozart's effort. The small but enterprising German label K&K continue to regale the discerning collector with lavish productions of selected works in the magnificent setting of the UNESCO World Heritage Maulbronn Monastery in Germany. After releasing what can only be termed as a rather excellent 'Messiah' they have now turned their attentions to the Mozart arrangement of the same work sung in German. 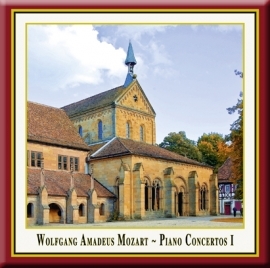 With such miraculous acoustics available, the recording is truly a sonic gem especially with the distinguished and alert playing of the Hannover Chamber Orchestra which infuses the orchestral parts Mozart composed with vitality and great energy. The quartet of soloists does not include any real big names but they are all of the highest quality. I was particularly taken with Marlies Peterson whose ethereal capacity for high notes reminds one of the more highly rated Renée Fleming. Rzepka is also very strong as the bass whilst the monastery choir sings with élan and perfect diction, being here on home ground. Booklet notes are suitably ample as are the recording details which include some stunning photographs of the performance. 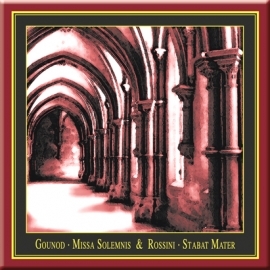 If you are looking for a high quality 'Messiah' in the Mozart arrangement, then you should look no further than this really excellent German production. 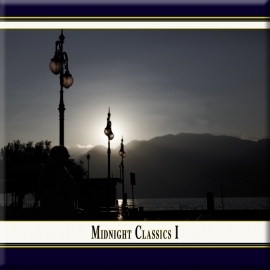 These are pleasing contemporary arrangements of Haydn's relatively little-known Divertimenti for string quartet. 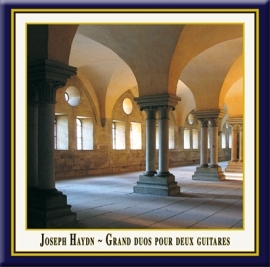 Undemanding, elegant music which adapts well to the two guitar medium, and has an added interest because this duo plays always on instruments of the respective musical era, rebuilt copies: 'after all, they played on new guitars back then, so why should we have to give concerts with old ones?' ! 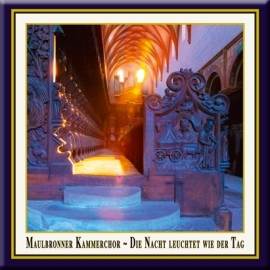 The sound as recorded in the Laymen Refectory of the 1147 Maulbronn Monastery is superb, and the pleasure vastly enhanced by looking at the fabulous website, with pictures instantly putting you right into the ambience of this World Heritage Site where some 25 concerts are held annually. I was absolutely privileged to witness three concerts by this superb guitar duo. I own all their recordings and don't feel there are many better at historical guitar interpretation than they. Works by Gherardello de Florenzia (1310-1370), Guillaume de Machault (c. 1300-1377) Hermann, Münch von Salzburg (2nd part of 14th century), Heinrich von Mügeln (14th century), Guillaume Dufay (1400-1474), Alfonso el Sabio (1221-1284), Johannes Bassart (middle of 15th century), Kolmarer Liederhandschrift (15th century), Oswald von Wolkenstein (c. 1377-1445), Nicolaus Apel (c. 1470-1537), Codex Montpellier (13th century), Codex Squarcialupi (14th century) et. al. 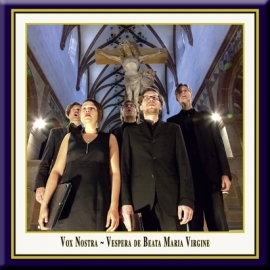 The WORLD PREMIERE RECORDING of the great cantata "Vom Reiche Gottes"
Electrifying live performance of mostly rarely performed J.S. 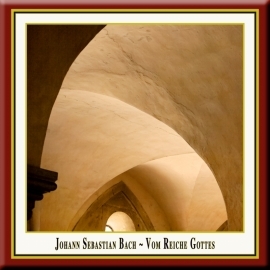 Bach arias, choruses and chants, recorded on location at the 12th century Maulbronn monastery in Germany. The acoustics are beautiful, and the sound quality very convincing. Historical instruments were used for the performance, tuned to the exact pitch Bach would have been familiar with in his lietime. The result is intimate, moving and addictive. Of course it is a 'programme', with famous pieces followed by unusual tracks, but it provides an irresistible feeling of ensemble and wholesomeness. The delicate Sinfonia opens the CD perfectly, operates magically on your brain and your senses to remove any feeling of oppression from what you cannot control of the outside world, and when the beautifully sung chorus of the same cantata follows, you know you are in for a treat that mixes adherence to the settings of the time and effective modern recording technology. This album is not 'another Bach' album. It is unique, and it is a treasure. 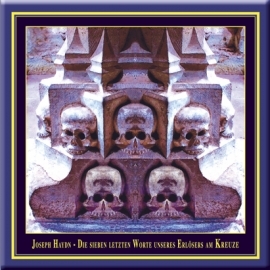 The oratorio "Die letzten Dinge"
This enterprising German label has recently served up some wonderfully crafted chamber and choral performances and this discovery by Spohr is no exception. Apparently 'The Last Judgement' (Die letzten Dinge - 1825/6) was an extremely popular oratorio in its heyday but it unfortunately fell by the wayside and is little heard today. 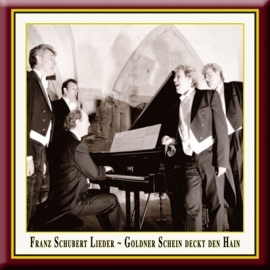 Spohr treats the text with reverence and respect and although the music rarely rises above the mundane, the soloists and Budday ensure that the listener is engrossed in what is going on from first note to last. This is a worthwhile revival from the Spohr canon which deserves much wider currency. Highlights from the concert of the Acoustic Blues Quartet "Marco Marchi & The Mojo Workers"
Joe Goodwin, Jimmy Cox, Robert Johnson, Sleepy John Estes, Walter Jacobs et. al. 15 Tracks · DDD · Total Playing Time: 70 Min. 42 Sec. Marco Marchi and The Mojo Workers are a breath of fresh air in the Blues world. Their take on the Blues is innovative, exciting and unique. They blew into Memphis, and blew our minds with great songs, great musicianship and great personalities. 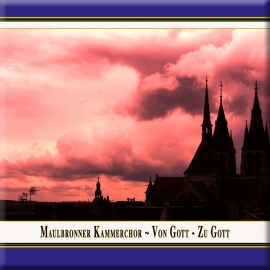 "Von Gott ~ Zu Gott · Verheißungen & Gebete"
The Maulbronner Kammerchor, conducted by Jurgen Budday, can serve as a model example of the best that there is in the German style of this art: roundly shaped clear phrases, deliberately designed shadings of dynamics, precise articulation an a homogeneous balance of well-cultured voices. These caracteristics are symptomatic, regardless of whether they are singing a Mendelssohn motet or a modern psalm setting, light in presentation but studded with thoroughly rehearsed effects. What a juicy sound this choir makes at full throttle! This Liebe & Leid program was recorded at Maulbronn Monastery in Germany, a UNESCO World Heritage Site and a very resonant space. It's in those echoes, in fact, that the charm of the release resides. This is a pretty good choir, to be sure; and a joyful noise is made in varied repertoire stretching from Robert Lucas de Pearsall's sumptuous "Great God of Love", to Eric Whitacre's tingly "Nox Aurumque", to Jaako Mantyjarvi's absorbing account of a true-to-life maritime disaster that took place on the Baltic. What's more exciting, though, than any technical nuance or interpretive wrinkle is the high-octane sound of the Maulbronn singers performing in their very own sacred space. That's the draw, pure and simple. Texts and translations are available and necessary because the reverb cancels out some of the diction. But what a juicy sound this choir makes at full throttle! "Der Mensch lebt und bestehet"
This Elijah is both: calming and very beautiful (listen to the octet 'Denn er hat seinen Engeln befohlen' or the divine quartet 'Wirf dein Anliegen auf den Herrn'). Of course once Elijah has done his bit and the Real God performed the much asked-for miracle, the choir are full of joy and sing their hearts out. But this incident typifies this whole performance. Although it was recorded live there is neither any evidence of an audience present nor any tangible sense of occasion in this performance, but there is a strong sense of being in a place of worship, not just in occasional glimpses of the monastery's lavish acoustic but also in Jürgen Budday's restrained direction, allowing his singers to relish the work's more devout moments and never trying to force the pace. So we have some of the slowest tempi on disc. The choir clearly are at ease with Budday's approach and produce a glorious luminosity in such reflective choruses as 'Siehe, der Hüter Israels'. Also the superb soloists are all utterly convincing in their roles: Jolanta Michalska-Taliaferro is a magnificently wicked Queen as she spits out her venom against Elijah, while Heidi Elisabeth Meier could hardly be more angelic as she calmly exhorts Elijah to 'Rest in the Lord' (after his profoundly moving 'Es ist genug'). 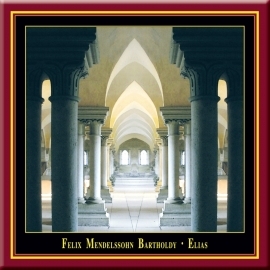 Polished orchestral playing further enhances Budday's interpretation of the work as a profound statement of Christian faith, while the recording is as flawless as one would expect from a state-of-the-art studio, let alone a 12th-century monastery. This monastery is world famous. Spectacular decay, luminous sound, superb performances... Try this series and see what you think. 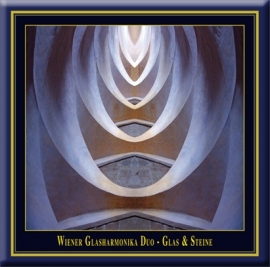 This wonderful disc recorded in the splendor of the Maulbronn Monastery continues to cement K&K's reputation as a purveyor of quality classical music. 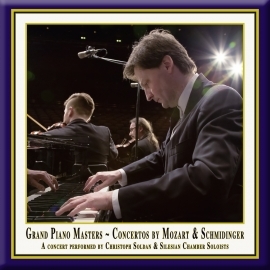 Their Mozart piano concerto series has so far been quite exquisite on all counts this time with Christoph Soldan at the piano. KV453 floats along quite merrily, especially in the broad Finale which has the Capella Istropolitana playing like angels, ably directed by Pawel Przytocki. The same goes for KV488, one of the miracles of Mozart's piano concertos which can easily hold its own with former greats in the genre such as Wilhelm Kempff and Géza Anda. My only gripe in this series is the paucity of notes which accompany the issues otherwise both recording and interpretation are of impeccable quality throughout. Those who are collecting this fine series really need not hesitate in any way and should go ahead with purchasing this issue. Piano Concerto No. 21 in C Major, K. 467 "Elvira Madigan"
performed by Christoph Soldan & the Silesian Chamber Soloists. 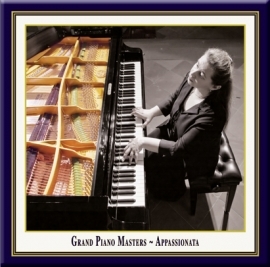 with a Steinway & Sons Concert Grand Piano C-227 (No. 524500). 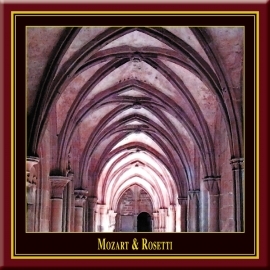 Featured in Napster's Playlist "Best of Mozart"
Utterly, utterly divine. The most beautiful and serene choral singing I have heard in many years. 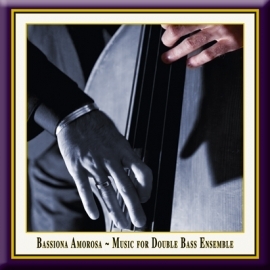 Moving beyond words with voices soaring to perfection offset by basso profoundo deeps. Sheer pleasure. A real experience. Strongly recommended. 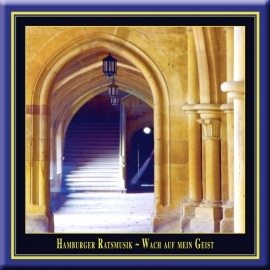 This album is part of a series recorded live at the medieval-era Maulbronn Monastery in southern Germany, but it explores the music of a very different region: the Hamburger Ratsmusik, doubtless a strange name to Anglophone ears, is the Music of the Hamburg City Council, a concert series with a tradition a half a millennium long. It petered out and was then revived. This concert, conceptualized by gambist and ensemble leader Simone Eckert, collects a group of pieces from the 18th century, all connected by the single theme of time (die Zeit)... The combination of pieces is largely unlike anything that's been put on disc before, and many of them are unknown. The program combines simple, strophic settings like Johann Schop's "O Ewigkeit, du Donnerwort" (O Eternity, You Thunder-Word), from the mid-17th century, with Telemann's simple moralistic cantatas, more involved Bachian pieces, and instrumental works of several kinds. Soprano Dorothee Mields does an exceptional job of communicating the sober but appealing mood of the music, so different from the operatic ideals that informed even much of the output of Bach, and the backing musicians keep everything lively even as the emotion level is low-key; the two Telemann trio sonatas included are nicely differentiated by accompaniment, with one featuring a theorbo continuo. The whole program breathes and feels like a spirited rediscovery of true expression that's centuries old, and the sound from the monastery is well suited to this music. Recommended, partly in hopes that the album will stimulate further exploration of the repertory from Hamburg, an immensely influential city in its day. "Die Nacht leuchtet wie der Tag"
The Maulbronners have an extraordinary sense of choral blend, and just the right balance between the parts, too. Their quality pianissimos and sustained ritards are among the most pleasing and best in the business. 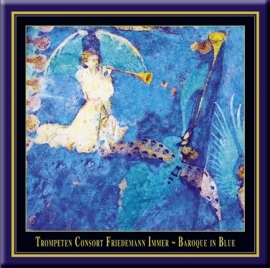 Concerto in D for trumpet, 2 violins & B.C. ~ Concerto a 3 Clarin, Tympani, 2 Violin, Viola e Cembalo ~ Violin Sonata in A ~ Trumpet Concerto No. 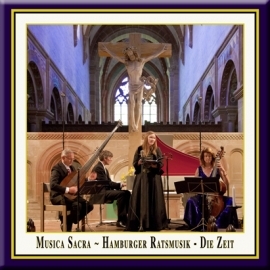 2 ~ Sonatas "Sabato" & "Domenica" ~ Ouverture in D.
This fine disc is yet another in the stunning series of CDs produced by the enterprising Josef-Stefan Kindler and Andreas Otto Grimminger and recorded in the sublime acoustic of the UNESCO World Heritage site of the Maulbronn monastery near Heilbronn in Germany. Telemann has become quite well served on record of late but this eclectically mixed concert is a joy just to sit back and relax with the sounds of trumpet, string instruments and clarinets competing for attention. 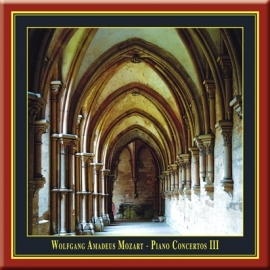 I have recently had the opportunity to listen to several CDs from the Concentus Musicus Wien in numerous Telemann works but the striking ambience of this particular recording was truly eye-opening. Each soloist led by the able virtuoso Wolfgang Bauer brings the works to life in an uncanny sense of historically informed music making. This is a joyful disc which deserves the widest possible currency. 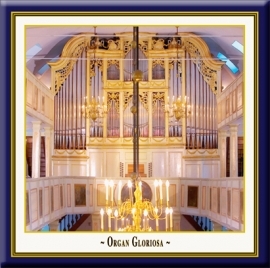 on the historical "Great Buergy Organ of 1787"
This fine compilation of show stopping organ works is done full justice by the imposing Bad Homburg Church Organ played with relish and gusto by Ulrike Northoff. Starting off with Bach, appropriately enough, she gives a titanic interpretation of the 'Great' Fantasia and Fugue, BWV 542. The rarely heard Sonata by Bach's son Carl Philipp Emanuel also comes across quite nicely as does an interesting discovery by Christian Rinck, a rather obscure name whose Concerto for organ (originally for flute) certainly warrants some attention. We finally conclude with some Mendelssohn, his fourth sonata which comes across very well played indeed. K&K's presentation is quite excellent with expansive notes and some very striking photographs. The sound is very vivid and immediate although some boom is also detected due to the large, cavernous acoustic. 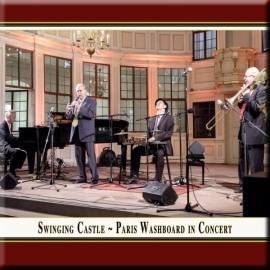 Here is another great cd from Paris Washboard... 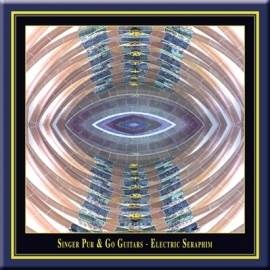 It was recorded live in June 2012 and the audience factor makes this group even more exciting. Rarely heard treats such as Fats Wallers' composition "Dancing At The Waldorf" and Duke Ellingtons' "Frolic Sam" are played with excellent execution. Old favorites such as "Keepin' Out Of Mischief" and "Dinah" are also on this cd. Giovanni Battista Ferrandini ~ Se d'un Dio · Scottish Traditional ~ Auld Lang Syne et.al. Sarah Wegener enthralls listeners with the richness and warmth of her voice and approaches every role in a chamber musical way. 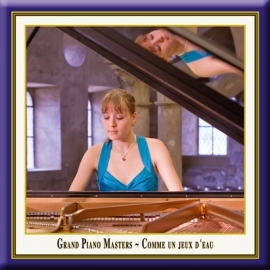 She regularly works with Kent Nagano, Philippe Herreweghe, Thomas Hengelbrock, Heinz Holliger, Michael Hofstetter and Frieder Bernius. She studied with Professor Jaeger-Bohm in Stuttgart and took part in master classes with Dame Gwyneth Jones and Renee Morloc. 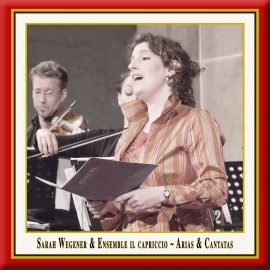 Here, Sarah performs with the Ensemble Il Capriccio arias and cantatas from the baroque era, thematically enhanced with modern compositions. 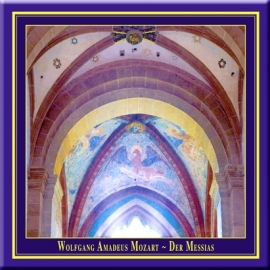 The release documents a concert at the church of the German UNESCO World Heritage Site Maulbronn Monastery in Germany 2015, splendidly recorded and produced by Andreas Otto Grimminger and Josef-Stefan Kindler for their series "Maulbronn Monastery Edition". Symphony No. 8 in B Minor, D 759 "The Unfinished"
The members of the New Symphony Orchestra, drawn from the Sofia Radio Orchestra, are a comparatively young ensemble founded in 1971. The writer of the insert-note suggests that their musical style is "sentimental, due to the members' experience recording film music". Sorry, but there is no trace of sentimentality in either performance. Instead, here is a superb example of the intense concentration that can come with live musicmaking from eager young players, well rehearsed, in front of a receptive audience. In the Scottish Symphony, the character of the playing combines an effervescing vitality and a natural Slavonic warmth, particularly from the full-toned strings. Petko Dimitrov shapes Mendelssohn's lovely lyrical opening with an appealing simplicity, and in the first climax of the vivace of the exposition his surge of animation has the players all but scampering in their exhilaration. The one snag is that the important exposition repeat is, alas, omitted. The scherzo sparkles, the slow movement is beautifully shaped yet has a sombre underlay which prevents any suggestion of blandness, and after the dancing vivacissimo the close of the finale is expansive, almost Klemperer-like in its spacious grandeur. Overall, a performance of much character. Schubert's Unfinished is even finer, the epitome of Romanticism, the quiet opening mysterious, darkly evocative, yet with incisive drama soon to offset the lyricism. Here the exposition repeat is played, and used to build an onward propulsion which is very compelling. Dimitrov's modest change of pace for the exquisitely gentle opening of the second movement is perfectly judged, and the arrival of the secondary theme is beautifully prepared by the violins. The woodwind contributions, first the clarinet (2'06'') and the naturally following, equally delicate oboe (2'36'') are almost like a question and answer, before the drama of the bold trombone-dominated tutti (2'56'') which is arresting without being coarse. But it is the gently ruminative quality of the playing - of wind and strings alike - that makes this performance so memorable. The interplay between apparent serenity and the music's bolder progress is like a contrast between twilight apprehension and the daylight assertion of life's irrepressible advance, with a haunting sense of resignation conveyed in the movement's guileless closing bars. The concert hall recording was made in simple 'two-track stereo' and the effect is real, slightly distanced, but tangible. Most rewarding. 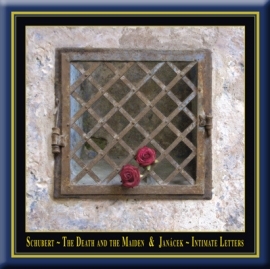 Leos Janácek: String Quartet No.2 "Intimate Letters"
The severe sound environment of the Maulbronn Abbey, a UNESCO World Heritage Site in the German state of Baden-Württemberg that dates to the twelfth century, has given rise to a series of recordings covering varying aspects of music from the Western concert tradition. 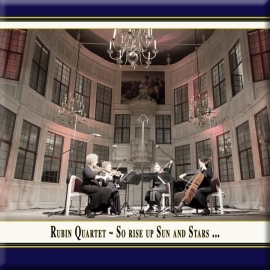 That sound environment is put to intelligent use in this string quartet recital, which pairs well-worn pieces but gives them unusually intense interpretations that are heightened by the hard resonance of the sound. 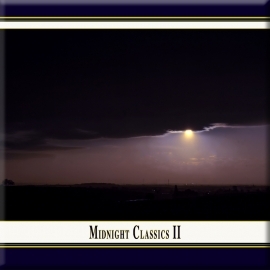 Sample the very beginning of the Schubert "String Quartet in D minor, D. 810" "Death and the Maiden", to get yourself into the disc; the opening chords might be described as slashing. 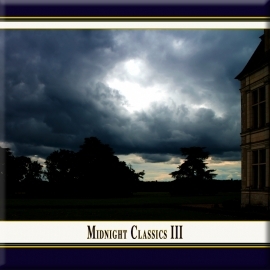 Move on to the second-movement variation set built on the song that gives the quartet its name; where many quartets let a sort of debilitated gloom hang over much of the movement, everything here is a life-and-death struggle. 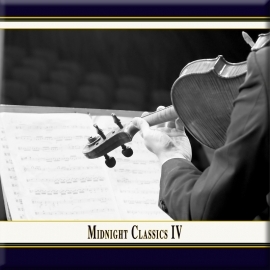 The stronger of the two performances on the disc is that of Janácek's 1928 "String Quartet No. 2," subtitled "Intimate Letters," a hypersubjective work whose emotional content could have been drawn straight from one of Sigmund Freud's contemporaneous psychotherapy sessions. The work is as dissonant as almost any other of its period that does not completely reject tonality, but the dissonance is used in the service of untrammelled expression. The letters evoked are those between the composer and his married mistress. Yet the Amati Quartet's performance, ringing around the monastery walls, brings to mind, to use John le Carré's memorable simile, thoughts that are like birds stuck in a greenhouse. It's an extraordinary reading that rises to the moment offered by a specific performance space, and the disc as a whole, while not for those who like the emotional temperature of their classical music kept to medium, is decisively recommended to those wanting to try out the Maulbronn series. The enterprising German label K&K has made a name for themselves by issuing critically acclaimed recordings of oratorios and other sacred works in the haunting location of the UNESCO World Heritage Site of the Maulbronn Monastery. 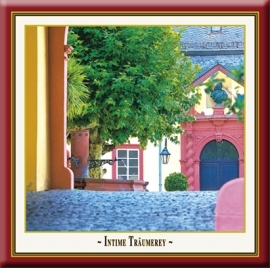 This CD features two string quartets by masters in the genre, Franz Schubert and Leoš Janácek played by the legendary Amati Quartet, one of the finest ensembles currently recording. 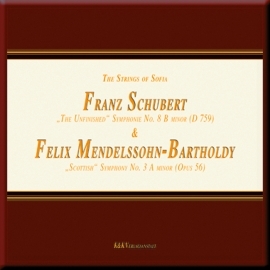 Both works come across quite beautifully in the sumptuous acoustic and as expected, the Amati play with their exemplary brilliance especially in the "Intimate Letters" which is certainly very hard to bring off. This is another thumbs up for this extremely enterprising German label. Carlo Gesualdo da Venosa (c. 1562-1613) et. al. A musical revolution occurred in about 1720, with the "style galant" replacing the more learned and complicated music in vogue before then. 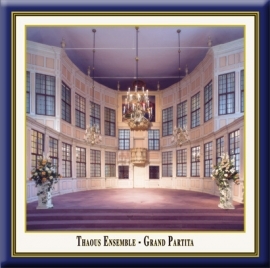 K&K Verlagsanstalt, which specializes in audiophile recordings made in historic churches and palaces, has put together a winning project here, with the venerable Quantz Collegium (established in 1936) performing highly appealing music from the Garden Hall of the Rastatt Favorite Palace in Baden-Württemberg. 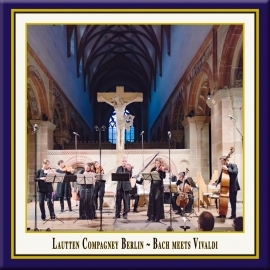 Recorded at two live concerts, we have here four concertos for viola or flute, or both, by Graupner, Telemann and FWH Benda, all written in the accessible, tuneful new style. Mention should be made of Josef-Stefan Kindler's superb photos in the CD notes, which I at first took for paintings in the Rococo style of Tiepolo. 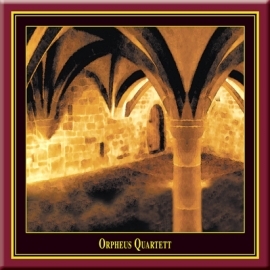 They capture both the spirit of the original music and venue and that of the Quantz Collegium and K&K's Historically Informed reconstructions. "Every current of fashion or of worldview", says Walter Benjamin in The Arcades Project, "derives its force from what is forgotten." Three centuries on, the stripping down of J. S. Bach's erudite polyphonic puzzles can seem, according to one's sensibilities or mood, either a vital breath of fresh air or a savage dumbing down for the kind of mindless 18th century twits personified by Hugh Laurie's Prince George in Blackadder's Third Series. Luckily we can still take pleasure in the simple joys of melody and a direct and honest, if sometimes guileless, clarity. This music is well-crafted, but the strongest movements, those in Telemann's Viola Concerto especially, can seem very much self-aware. It won't be long before the streamlining process leads to a new round of mannerist complexities. 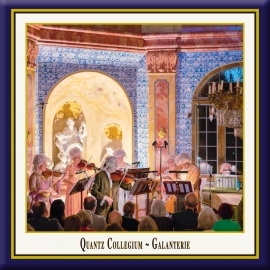 Though one won't find the final degree of authentic style from the Quantz Collegium, including the three soloists, flutist Jochen Baier and violists Agata Zieba and Killian Ziegler, there is much to admire in these performances. The admirably spare technology and truly galant way of playing combined with the elaborate costumes and the rococo porcelain excesses of the venue make for a memorable mash-up. 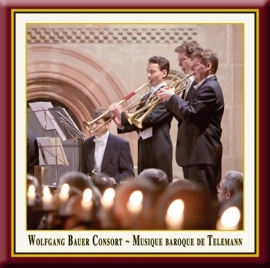 A concert at the church of Maulbronn Monastery 2002. A concert at the Bad Homburg Castle 2007. I heard this piece (Dvorak's String Serenade) at a summer concert in Symphony Hall and was thoroughly enchanted by it. I downloaded it on to my ipod and it features regularly. 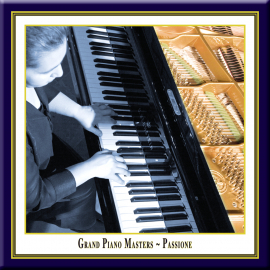 It is a very melodic, uplifting, life-enhancing piece, superbly played. This beautifully-recorded CD brings together two fine works in what can only be termed as superb interpretations by Polish orchestras. 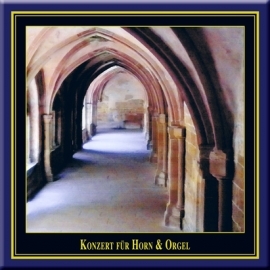 K&K are an extremely enterprising German label who have given us some outstanding recordings in the choral, organ and piano and genre from such wonderful locations as centuries old monasteries so their new attention to orchestral music is very commendable indeed. Mozart's 'Linz' is one of those works were a carefully nuanced approach reaps considerable dividends as the great Peter Maag amply demonstrated. Przytocki is a consummate interpreter bringing a beautiful lift to the First movement and a busy energy to the Finale which are two miraculously charged movements. He is also in his element in the lovely Serenade for Strings by Dvořák which dances around quite ravishingly especially in the bucolic scherzo. 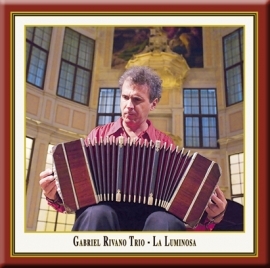 This CD receives plaudits all around from me and it deserves a hearty recommendation. The presentation is beautiful with large photographs and the distinctive K&K colours provide for a heady experience which is reinforced by the interpretations. 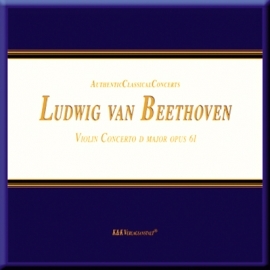 The 'Beethoven Akademie Orchester' does Dvorak justice with its excellent performance of his serenade. The 2nd and 3rd movements are definitely my favorites. Wolfgang Amadeus Mozart, César Franck et. al.